Real whipped cream is not as hard as it sounds to make at home. Skip the store-bought tubs and cans, and try this for your next dessert! ‘Tis the time of year for desserts of all kinds: pies, cakes, cookies, truffles, rolls, puddings, you name it—we’ve entered the holiday season! Unfortunately, your willpower may not be strong enough to resist all.the.sweet.things. that do damage to your insides (and your outsides!). Fortunately, there are healthier alternatives to some of the artificial ingredients, such as hydrogenated-oil, which you usually find in store-bought whipped cream. This recipe for homemade whipped cream is actually very simple to make, and tastes so much better than the fake versions from the grocery store! It’s real cream. Only one ingredient. Or two ingredients, if you choose to sweeten it a bit. Or three ingredients, if you also want to flavor it! The process is simple. You beat real cream until it’s whipped. All you need is any type of mixer—a stand mixer or a hand mixer or even an immersion blender will be most efficient, but if you need to use your own muscles and a wire whisk, that is also possible to do! 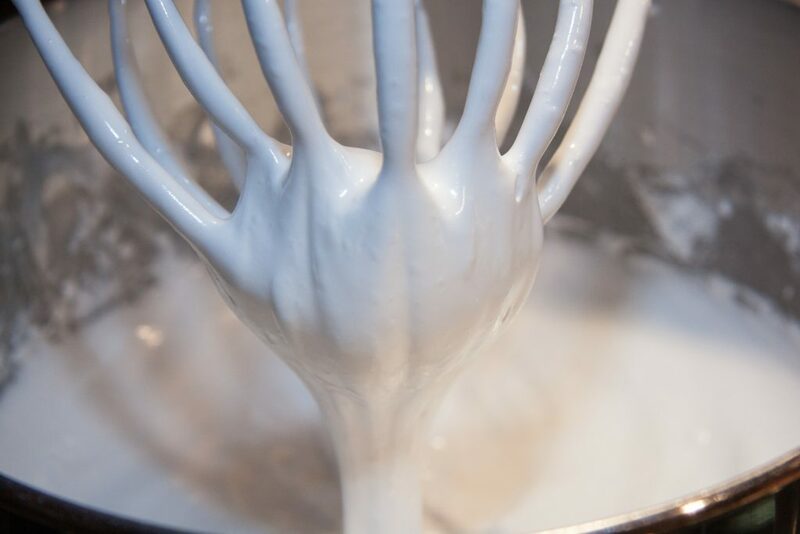 Heavy whipping cream quickly becomes fluffy, whipped cream; you can see it transform before your very eyes in just a few minutes! One trick is to chill the bowl and utensils (such as beaters) you’ll use, to aid the cream in becoming whipped. Although I highly recommend this step, it is not absolutely necessary if you’re in a pinch. After the whipped cream has visible stiff peaks that do not drip off your beaters when you pull them out of the cream, it is ready! Like I said, this happens quickly, in only about 2 minutes, so watch carefully. 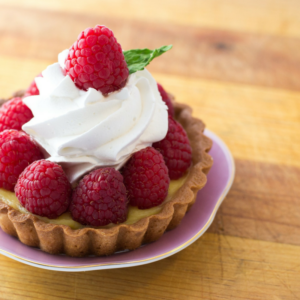 To finish off the whipped cream, you can get creative with various flavors and sweeteners. Flavors: Experiment with extracts like vanilla, almond, and mint. 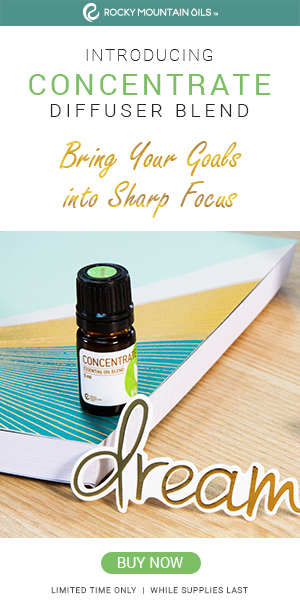 Essential oils, like lemon or peppermint work well, too. Just one drop is enough. Spices: A dash of cinnamon or pumpkin pie spice or nutmeg give wonderful, warm taste to fall desserts. Sweeteners: Honey, maple syrup, or 1/2 teaspoon of stevia work best. If you’ll be using the whipped cream in another recipe, you may want to keep it unflavored/unsweetened. 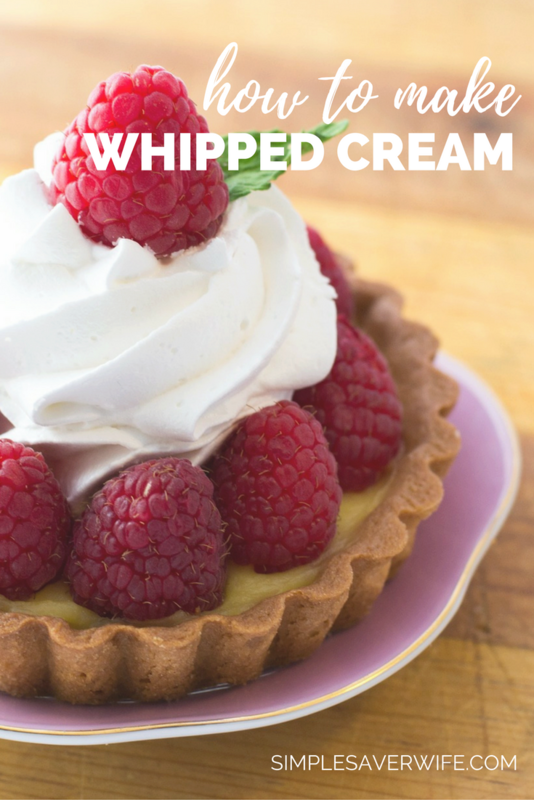 Try this fast whipped cream recipe for a real, creamy, deliciously fluffy garnish to your favorite desserts! Use it in any recipe calling for Cool Whip, or whipped topping. What will you put this fabulous whipped cream on? Real whipped cream without artificial ingredients that is simple to make! Chill your mixing bowl and beaters (or whisk attachment) in the freezer for at least 10 minutes. Using a stand mixer or hand mixer, beat the cream on high speed until stiff peaks form (about 2 minutes).